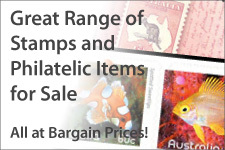 Australia Post now appears to be issuing an annual WWF issue, rotating between Australia and the three territories it issues stamps for (Christmas Island, Cocos (Keeling) Islands and the Australian Antarctic Territory). The Christmas Island Frigatebird (Fregata andrewi) is the rarest endemic seabird on Christmas Island, and is under threat from pollution from past phosphate mining and the invasive Crazy Ant. 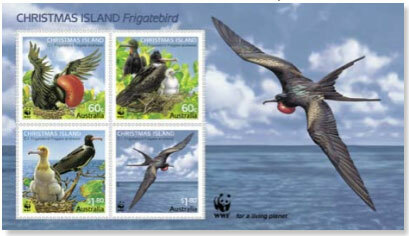 The frigatebird appeared on last year's Christmas stamp, which was issued in gummed sheets of 50 stamps (see right) and self-adhesive booklets of 5. 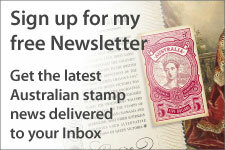 The four stamps will be issued within sheets of 50, and miniature sheets. 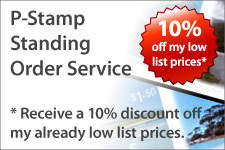 Sheet stamps of the same value will be issued in horizontal pairs within the sheet. The miniature sheet will contain a unique block of four.